OPEL BLITZ 1,75T LKW truck PEPSI-COLA 439051050 Minichamps 1:43 New in a box! 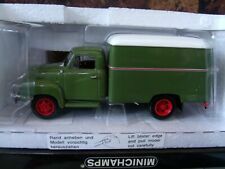 OPEL BLITZ 1,75t TRUCK ''SANELLA'' 439051041 Minichamps 1:43 New! This page was last updated: 24-Apr 08:10. Number of bids and bid amounts may be slightly out of date. See each listing for international shipping options and costs.